Mark's Tickets is the best place to find tickets for John Legend fans. Just check this page for any new events or schedule updates throughout the year. We sell tickets to every John Legend concert around the world. We know how passionate John Legend fans can be about r&b, so we make sure to have hundreds of tickets for every concert available right up until showtime. For those looking for cheap John Legend tickets, we offer tickets starting at very low prices (many times below face value). 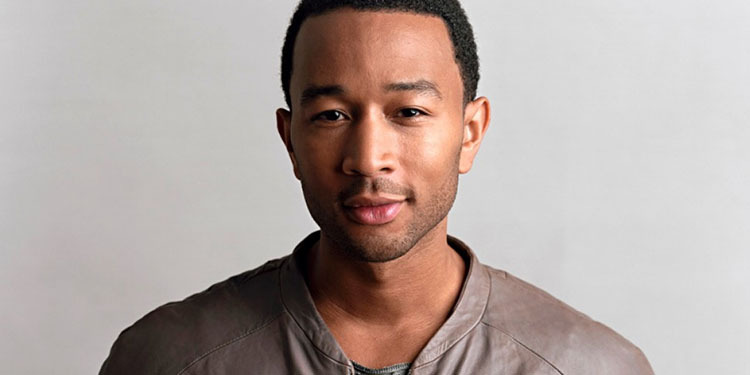 We offer tickets in most sections of every venue that John Legend performs. Simply choose the city or venue that you are interested in below, and you will be able to see all of the available seats. Do not forget that Marks Tickets also specializes in sold out John Legend tickets. No longer will sold out shows prevent you from seeing John Legend. John Roger Stephens (born December 28, 1978), better known by his stage name John Legend, is an American singer-songwriter and actor. He has won nine Grammy Awards, and in 2007, Legend received the special Starlight Award from the Songwriters Hall of Fame.Prior to the release of his debut album, Stephens' career gained momentum through a series of successful collaborations with multiple established artists. Stephens added his voice to those of other artists, assisting in them reaching chart-topper hits. He lent his voice to Magnetic Man's "Getting Nowhere," Kanye West's "All of the Lights", on Slum Village's "Selfish" and Dilated Peoples' "This Way". Other artists included Jay-Z's "Encore", and he sang backing vocals on Alicia Keys' 2003 song "You Don't Know My Name", the Kanye West remix of Britney Spears' "Me Against the Music", and Fort Minor's "High Road". Stephens played piano on Lauryn Hill's "Everything Is Everything".